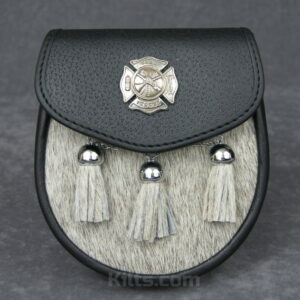 Our Firefighter Dress Sporran is made in Canada and features the Maltese Cross on the metal cantle. 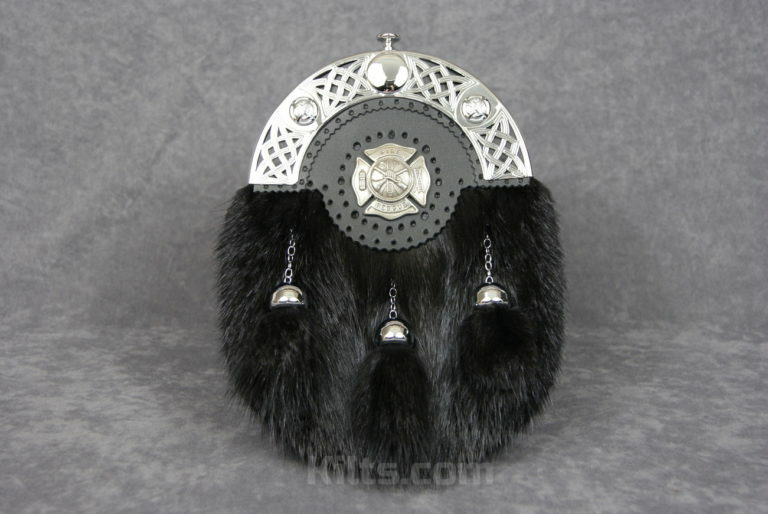 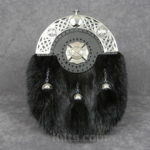 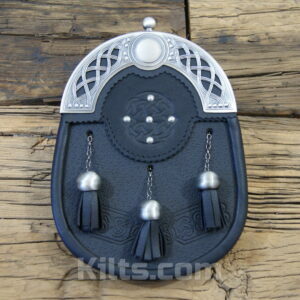 The sporran has a black rabbit fur front & leather tassels. 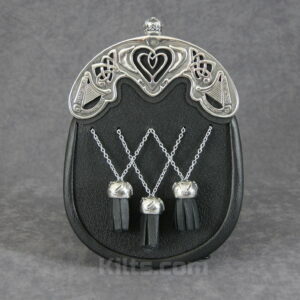 – Product Dimensions of 9.25″ high X 7″ wide X 2″ deep.